We have pets. So do our friends. This means that parties and gatherings often involve our pets. And, even though my friends know "the rules," sometimes part of a potato chip has been stealthily offered, in answer to the woeful eyes of the 4-legged guests. One potato chip isn't going to hurt them, but there are plenty of other human foods that can. Here are some treats to avoid, all year round. These fruits are delicious, and many pets like them. They are also found in many baked goods, such as bread, rolls, and cookies - and pets usually love those kinds of foods. cats and ferrets as well. or raisins, it's impossible to know which pets will be sensitive to this fruit. be monitored closely and treated appropriately. If a small dog eats just a small number of grapes or raisins, this is considered an emergency. While it would be rare for a pet to sip your coffee, there are other, more "pet-accessible" sources of caffeine. Caffeine is most commonly found in coffee, coffee grounds, tea, used tea bags, soda, energy drinks, and diet pills. Theobromine, a cousin chemical to caffeine, is also found chocolate (see chocolate toxicity). Threat to pets: Pets are more sensitive to the effects of caffeine than people are. While 1-2 laps of coffee, tea or soda will not contain enough caffeine to cause poisoning in most pets, the ingestion of moderate amounts of coffee grounds, tea bags or 1-2 diet pills can easily cause death in small dogs or cats. When it comes to chocolate, it's imperative to remember this fact: Dark is most dangerous. The darker the chocolate, the larger the amount of theobromine, a cousin chemical to caffeine, that it contains. Thus, baker's chocolate, semi-sweet chocolate, cocoa powder, and gourmet dark chocolates are more dangerous than milk chocolate. White chocolate has very little theobromine and will not cause chocolate poisoning in pets. It's the dose that makes the poison! Pets that ingest a few chocolate chips or 1-2 bites of a chocolate chip cookie are unlikely to develop chocolate poisoning. Due to the large amount of fat in chocolate, some pets may develop pancreatitis after eating chocolate or baked goods containing chocolate. Xylitol is a common sugar-substitute used in sugar-free chewing gum, breath mints, candies, some peanut butters, and baked goods. It is also found in some smoking cessation products like nicotine gum. It has dental plaque fighting properties and also found (in non-toxic amounts) in pet mouthwash and oral rinse. Xylitol may cause a life-threatening drop in blood sugar as well as causing liver damage to dogs. Cats and people do not experience this problem. Chewing gums and breath mints typically contain 0.22-1.0 gram of xylitol per piece of gum or per mint. Thus, to achieve a potentially toxic dose, a 10-pound dog would only have to eat one piece of gum! The small amount of garlic sometimes found in dog treats is unlikely to be harmful to dogs. However, if cats or dogs ingest a tasty pan of sautéed onions, garlic, or leeks, poisoning may result. The ingestion of large numbers of garlic pills or powder may also cause poising. Garlic was once thought of as a "home remedy" for flea infestations; however, it has been shown to be ineffective and is not recommended by Pet Poison Helpline. These vegetables can cause red blood cell destruction (specifically, Heinz body formation) and result in anemia. Ingestions of onions or garlic of > 0.5% of dog's body weight are potentially toxic. For example, this would equate to a 30 lb dog ingesting about 2.5 ounces of onion or garlic. Cats and Japanese breeds of dogs (Akita, Shiba Inu, etc) are even more sensitive. Homemade and store-bought unbaked dough that contains yeast (used for bread, dinner rolls, etc). Unbaked yeast-containing dough can result in multiple problems if a pet ingests it. Alcoholic drinks aside, alcohol can be found in some surprising places. Rum-soaked cakes or other unbaked desserts containing alcohol may contain alcohol to cause poisoning in pets. Alcohol is also a major byproduct of ingested yeast dough (see yeast-bread dough). Even small amounts of alcohol, especially in small dogs and cats, can cause life-threatening toxicity. Fatty foods such as butter, oils, meat drippings/grease, chocolate, and meat scraps may cause pancreatitis when ingested, especially by dogs. Certain breeds, miniature Schnauzers, in particular, are more likely to develop pancreatitis than other breeds. While not toxic, corn cobs are tempting and tasty to pets. Corn cobs are dangerous, though, as they may not make it all the way through the intestinal tract, causing a potentially life-threatening obstruction. 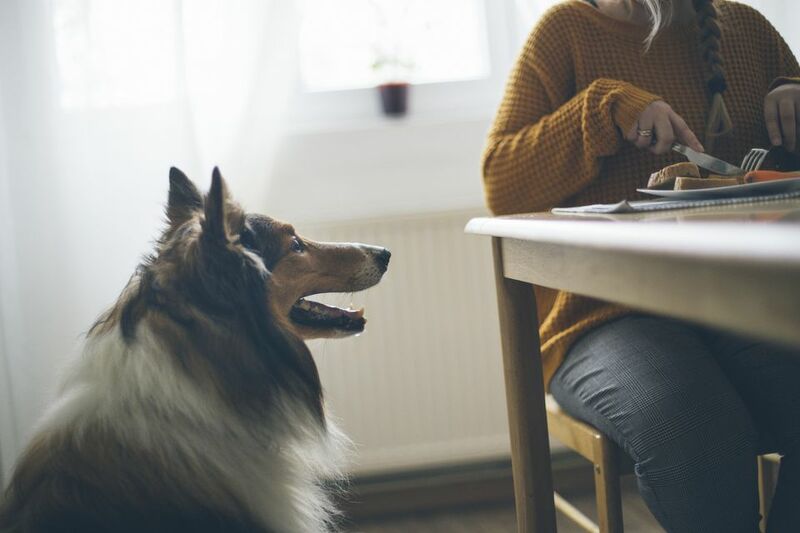 It's not all gloom and doom for the pets who picnic with us, here are some healthy human food treat ideas from Pet Poison Helpline. Did You Know That Grapes and Raisins Can Kill Dogs?